Based on real events, the film tells of a famous member of the anti-Nazi resistance movement, The White Rose. Sophie (Julia Jentsch) and her brother Hans (Fabian Hinirhcs) were arrested after a flyering campaign at their university. They were then interrogated and, ultimately, sentenced to death. This is a different side to the war that we rarely see. Usually, we see the horrors of the death camps, or the atrocities of the Nazis, or the bravery of the allied soldiers. Rarely do we see the other people in Germany. The ones who were incredibly brave in trying to find ways to stand up against the oppression, even if, at the time, it seemed to have little effect. 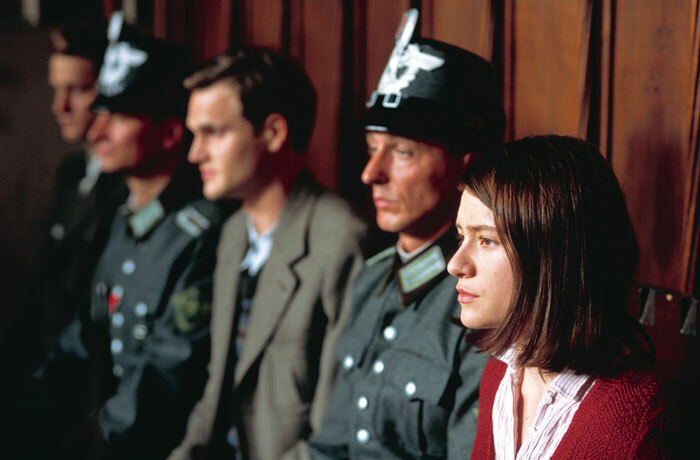 Sophie Scholl: The Final Days was nominated for an Oscar for Best Foreign Language Film of the Year.